I am honored and excited about serving you as your Wise Master this year. Also, I want to sincerely thank Illustrious Charles Cowden 33rd’ for his mentorship, support and guidance to his officers in 2018 in preparation of our respective offices this year. It will be a difficult year to top Illustrious Cowden’s contributions, formal and social events, leadership and services to San Jose Chapter of Knight Rose Croix last year. But I am confident that he will be there for us with good guidance when we are seeking some wisdom. 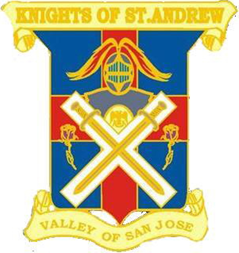 In 2019, San Jose Chapter of Knights Rose Croix will continue to host our important events for our Valley, our brethren and their family/guests; our Sweethearts Night to recognize all those special Ladies in our life in February, Maundy Thursday in April, Honor our new Masters in May and finally but not least the Military Recognition Night in November. Come and join us in February to make our Sweethearts Night a remarkable one and show your support to our special Ladies in our life. 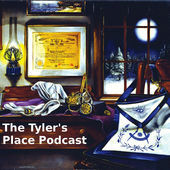 Without their understanding and support, our journey in Freemasonry would have been a difficult one while trying balance work, family and our service as men.